Mermaids are so hot this season! I’ve seen these EXACT earrings selling for a much higher price at boutiques around here. So when I saw these on AliExpress, I had to order them to see if their quality matched up. The 248 5-star-reviews don’t lie though, these are the real deal! The color glistens perfectly, changing-color based on how the light hits it. 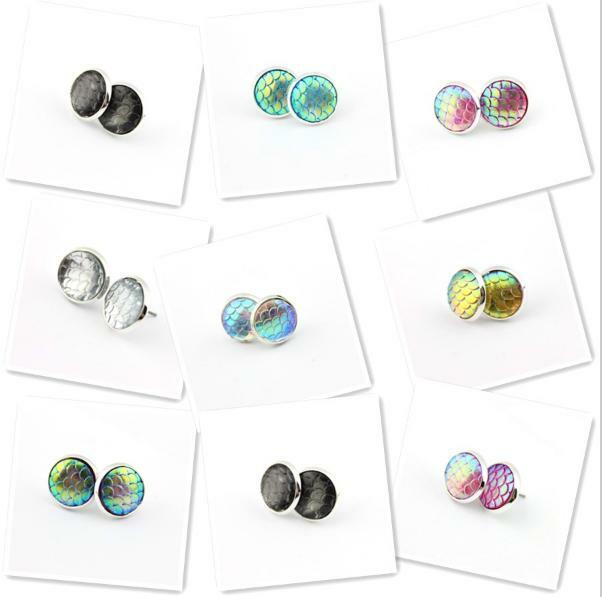 These are available in the following colors: silver blue, silver clear, silver gray, silver green, silver pink, silver purple, silver white and silver yellow. 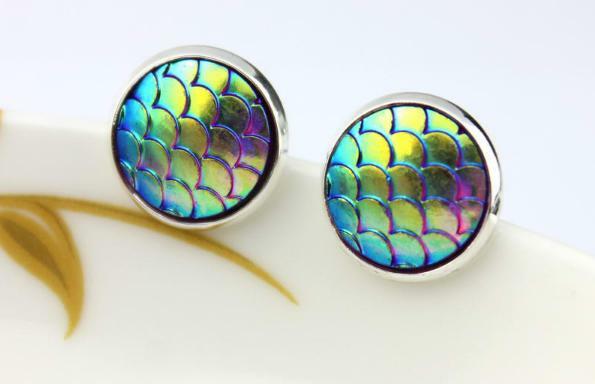 These Mermaid Earrings are silver plated and 14 mm in diameter, weighing 1.5 grams. Here is an IRL (“In Real Life”) photo of them to get a feel for the scale… no pun intended… ok, maybe the pun is slightly intended! 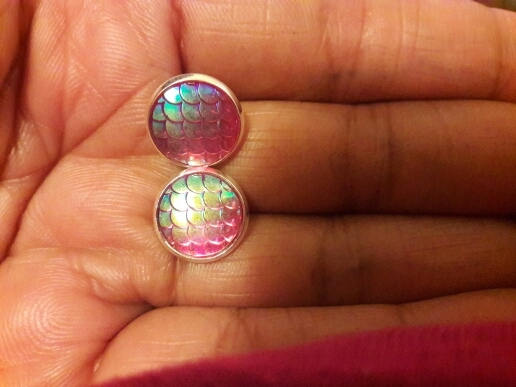 You can really see the patina and iridescent nature of the Mermaid Earrings in the IRL photo, right?!? So the only question is how many and which colors do you want? Leave a comment below to let me know what your order! And as always, please let me know if you are looking for anything in particular on AliExpress, and I’ll be happy to look for you to find items from trusted sellers!